Russian River Supplication was my first-ever wild ale experience. I remember that first sip like it was yesterday – waves of tart cherry and pinot noir with a musty, oaky finish. It was unlike any beer (or wine!) I had ever tasted before. Years later, I would acquire a bottle of Russian River Beatification Batch 006, which would serve as my first-ever American spontaneous beer experience. I cracked open that bottle on my 26th birthday and it instantly became my favorite beer of all-time. It tasted as if you left a bag full of lemons in a horse stable for a year – simply amazing! Those two experiences largely shaped my appreciation and fondness for wild and spontaneous ales. I followed Russian River’s process fairly closely, with some tweaks. First, instead of a 60/40 ratio of pilsner/wheat, I used 70/30. I also swapped the unmalted wheat for malted red wheat, since I had no intentions of performing a complex step or turbid mash. Instead, I bumped up my regular infusion mash temperature from 152 to 158°F, to create more dextrins for the bugs. 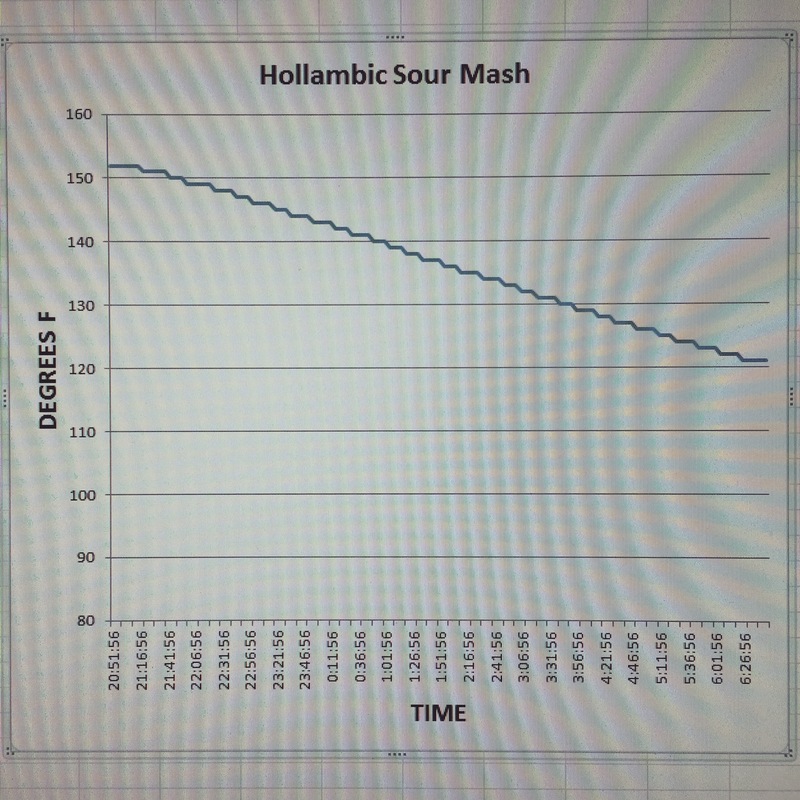 Like Russian River, I sour mashed overnight. At 7AM the next morning, I performed the sparge, just over 11 hours after initially mashing in. 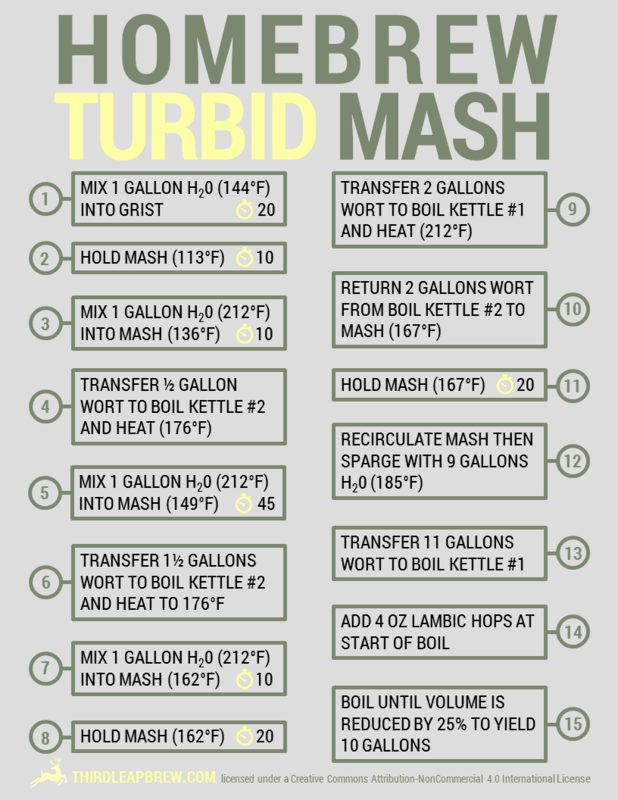 Once transferred to the boil kettle, I emptied and rinsed the mash tun, making sure to leave it uncleaned and unsanitized. After a 60 minute boil (in which I used no hops), I cooled the wort to 90°F and transferred it back into the mash tun, in hopes of favoring lactic acid bacteria to ensure a tart finished product. By nightfall, the wort had dropped to 60°F and the next morning I moved it into a 6.5 gallon Better Bottle. Eight days later the beer was happily fermenting away with a full krausen. Description: My interpretation of a traditional Belgian lambic – a crisp wheat beer featuring a unique tartness and funkiness from wild microbes that lend way to complex hard cider and white wine characteristics. Notes: Brewed solo on 1/27/2015. Started mash at 8PM on 1/27/2015. Initial mash pH was 5.7. Sour mashed overnight at 158°F. pH was down to 5.0. Mashed out at 7AM on 1/28/2015. Boiled for 1 hour and then returned to a rinsed MLT at 9AM on 1/28/2015. Postboil pH was 5.0 during transfer to fermentor. Only got wort down to 90°F, but left lid off MLT and the wort was down to 60°F by nightfall. Left the window open above the MLT. No oxygen. Small bubbles on surface of the beer on 2/2/2015. Full krausen by 2/4/2015. pH reading on 3/11/2015 was 3.66. Bottled on 5/15/2016. Primed to 3.5 volumes in 330ml Morning Bottles. FG 1.004.